What if you could use a handpicked set of tools to help children redirect their classroom behavior from dysfunctional to positive? Improving Student Behavior: The Success Diary Approach is a step-by-step guide to promoting your students’ personal development. 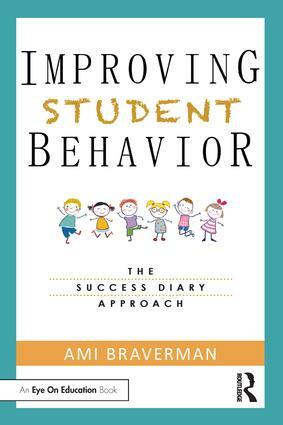 This book introduces The Success Diary, a novel, easy-to-use method for involving students in their own behavior modification plans. Designed by an experienced school psychologist, this guide consolidates approaches from various schools of behavioral intervention and integrates them into a streamlined, adaptable framework for teachers looking to engage with children’s unique personalities, skills, motivations, and support systems to create lasting behavioral change. Through these flexible, common-sense guidelines and activities, you can empower your students to participate in working towards better behaviors and healthy social-emotional development. Check out the author's blog at https://materialpsychology.com/blog.